Felt sport chic today, in new “moto-track pants”. They’re somewhat of a hybrid biker/track/dress pant – a comfortable, yet chic combination that I couldn’t resist. 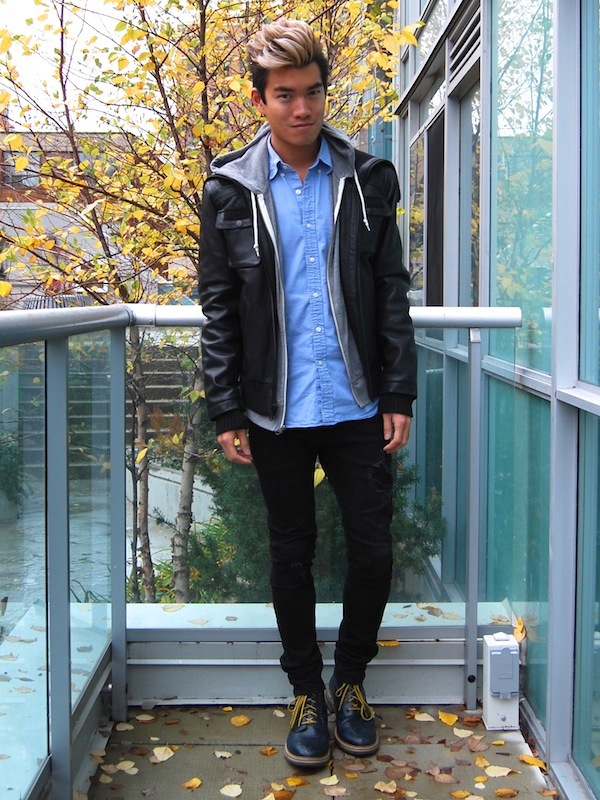 Paired them with a cotton sweater, white sneakers and wool coat for a simple look. 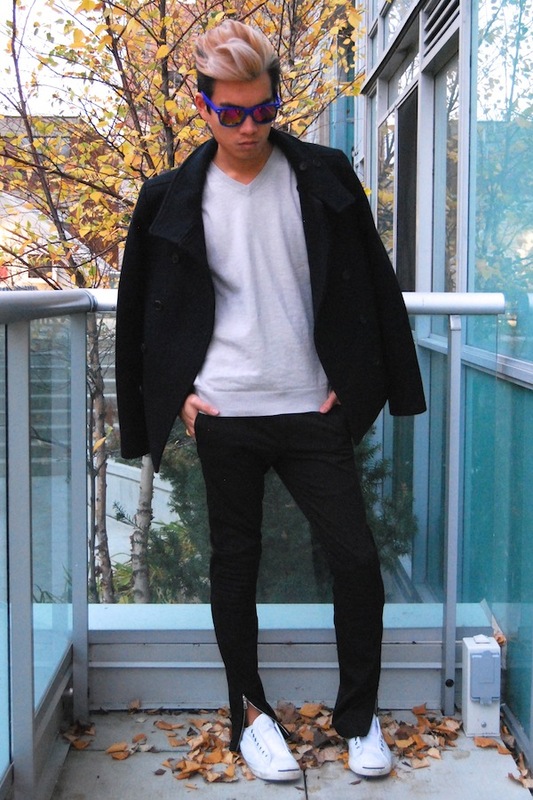 All Saints coat, J. Crew sweater, Zara pants, Converse sneakers, ALDO sunglasses. 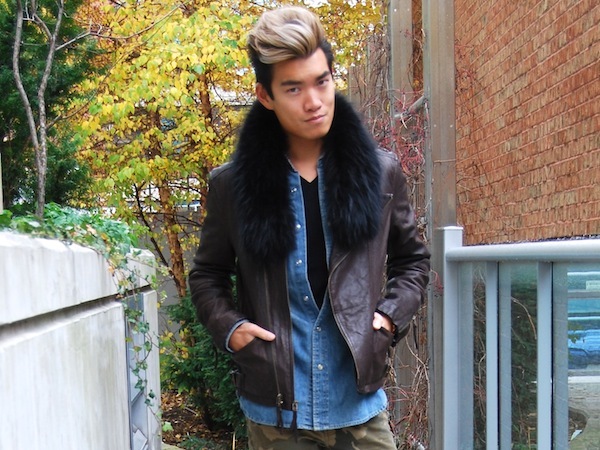 Today’s look combines some of my favorite sartorial elements: denim, leather, fur and camo. Mixing and matching for casual Friday style. Adrienne Landau fur collar, Monarchy leather jacket, Lucky Brand denim shirt, Joe Fresh T-shirt, Bullhead pants, Sperry sneakers, HermÃ¨s cuff,Â Gage Huntley DesignsÂ beaded bracelets, Glam Rock watch.